Above: This photo, probably from the early 1900s, captures a lot of fascinating detail, including a horse-drawn cart coming towards the Cat & Fiddle which is just a short distance to the left, and a horse-drawn carriage heading towards Buxton. It also shows the junction of the old and new Macclesfield roads, the old going down towards Goyt’s Moss, and the new on the right, which is now the A537. I’ve often wondered about the history of the twin Buxton to Macclesfield roads that snake across this bleak landscape. One derelict and disused – apart from the odd walker. The other – the A537 – groaning under the weight of a never-ending stream of lorries and cars. The two roads start fairly close to each other in Burbage, on the outskirts of Buxton. And run in rough parallel before coming together at the Cat & Fiddle, and then separating again. It seems such a massive waste of resources to build twin roads between the two towns, and within a relatively short space of time. 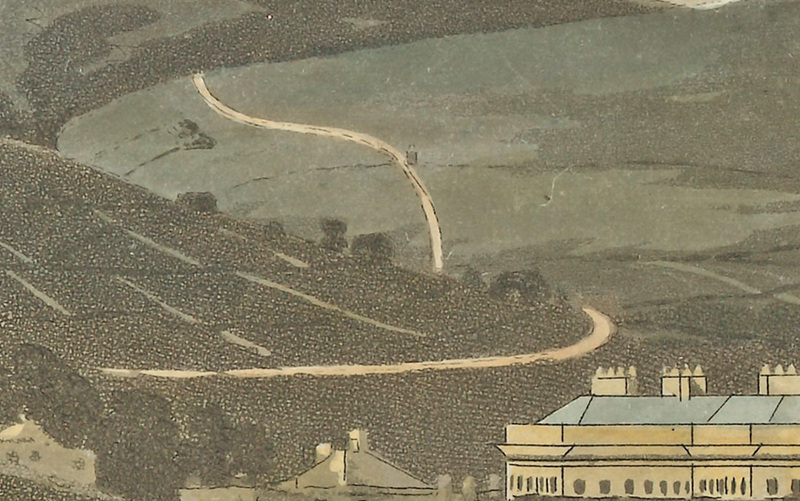 I turned to Alan Robert’s ‘Turnpike Roads of Buxton’ to see if I could discover the facts. Alan explains that turnpikes were introduced across the country in the early 18th century to improve England’s fast-disintegrating roads. New roads were built and maintained by collecting a small payment from those using them. And tollgates (or turnpikes) were placed at regular intervals to collect the tax. 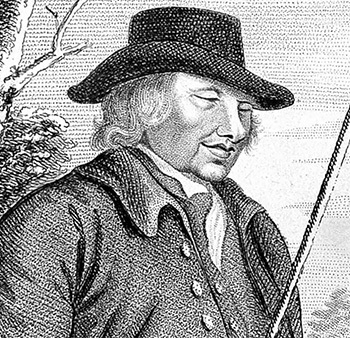 Above: ‘Blind Jack’ Metcalfe (1717-1810) was a larger than life character – 6’2″ tall and blind since catching smallpox at just one year old. 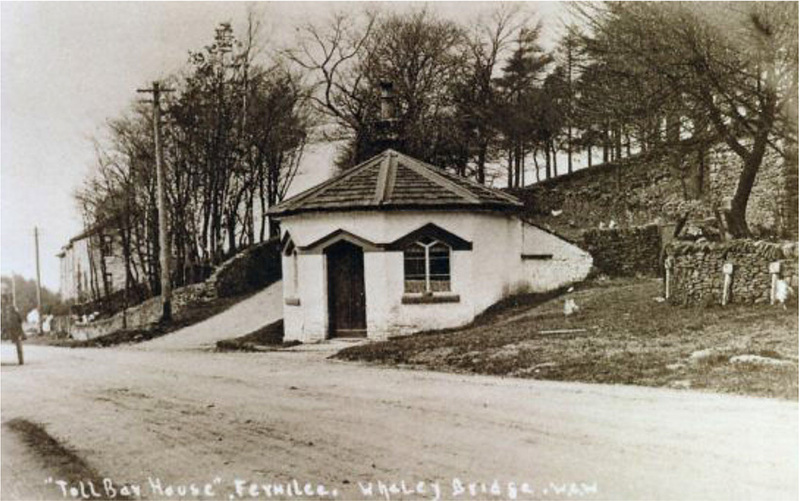 Above: A rare photo of the toll house which once stood on the Manchester to Buxton Turnpike at Fernilee, just to the east of Whaley Bridge (click to enlarge). The famous ‘Blind Jack of Knaresborough’ later improved the route in the 1770s. He was a highly colourful character who coped amazingly well with his blindness. Someone recently told me that Blind Jack also constructed the first Buxton to Macclesfield Turnpike, but Alan says that’s not correct. Above: Alan’s book, Turnpike Roads Around Buxton, is available from High Peak Bookstore at Brierlow Bar. They are very bad and boggy and I can venture to say that the greatest part of them are the worst roads in the King’s dominions, as far as I have seen. Much of the Buxton to Macclesfield route went through the Duke of Devonshire’s land. 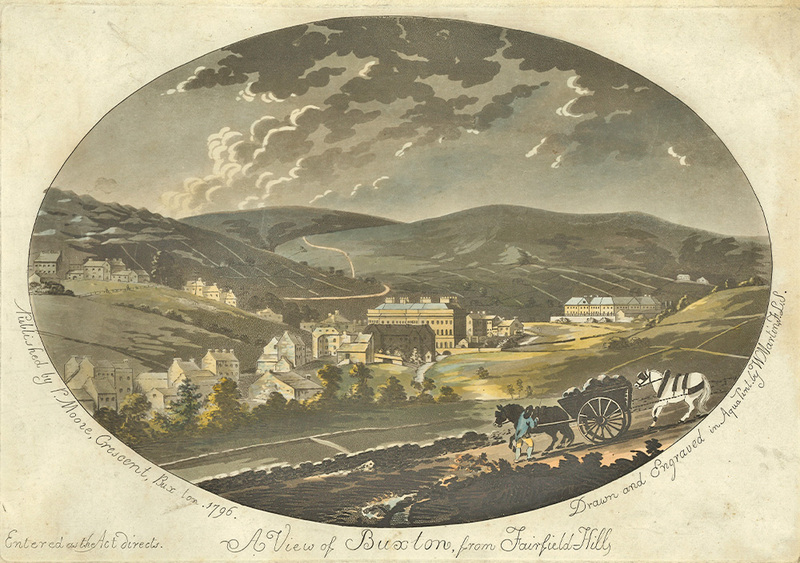 He was a keen supporter of the turnpike as it improved transport links between his lime kilns at Grinlow, on the slopes beneath where Solomon’s Temple stands today, and his coal fields at Goyt’s Moss. It also made it far easier and less expensive to transport lime to Macclesfield and beyond. The original route was completed in 1759. But it soon became clear that the long stretches of steep road were unsuited to the increasing weight of horse-drawn wagons. And in 1815 the turnpike trustees presented plans for an alternative route with less inclines, which was completed in 1823. 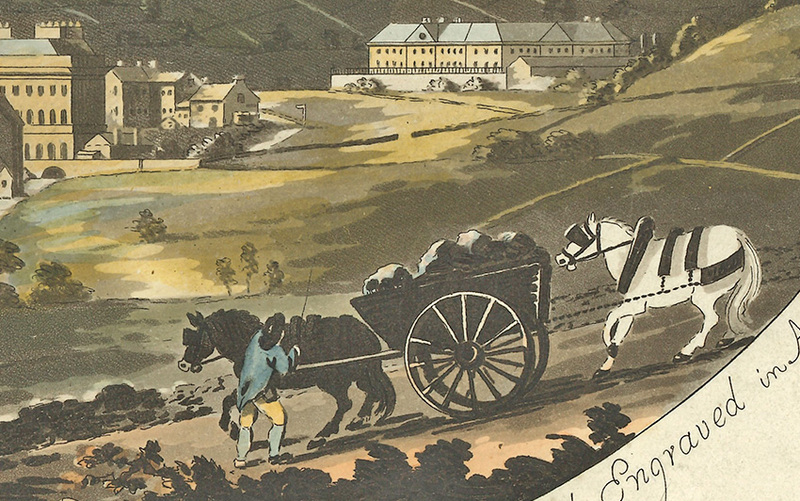 Above: This detail from a hand-coloured engraving shows a collier struggling to bring his heavy load of coal to Buxton in 1796 (click to enlarge). With one horse in front and another behind, it illustrates the problem of using horse-drawn carts down steep slopes. And as the carts got larger, so did the problem. Above: In the background, it’s just possible to make out the first Buxton to Macclesfield Turnpike snaking over the horizon. And even what looks to be a tollhouse half way up the slope (click to enlarge). The coming of the railways during the 19th century spelled the end of the turnpike system. The Turnpike Trusts were no longer able to attract investment, and many fell into bankrupcy. The Buxton to Manchester Macclesfield Turnpike closed in 1872, and the Buxton to Macclesfield in 1878. 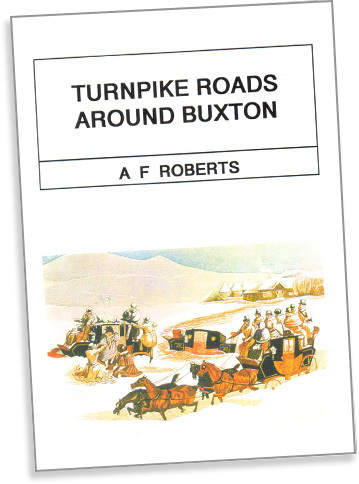 There’s an interesting chapter in Alan’s book describing the end of the turnpikes in and around Buxton. Click here to read it.